The Lesante Luxury Hotel & Spa is located in a picturesque area of Zakynthos (also known as Zante), where you can enjoy beautiful natural surroundings and the sparkling sea. Explore this famous island and admire its traditional villages and museums with exhibits dating back to ancient Greece. Remember to visit the famous shipwreck or take a romantic cruise to the many secluded beaches. The hotel itself offers guests a choice of wonderful restaurants onsite, as well as luxurious guest rooms with bright, modern decor, and excellent facilities. For a day spent relaxing, try the rejuvenating couples’ treatments at the spa or simply make the most of the five star facilities throughout. The hotel has 119 rooms & suites. Hotel child prices apply to ages 2–11 years. In Greek mythology, Ambrosia is the food of the gods. This perhaps sums up what this magical five star experience will be. Enjoy creative dishes with wonderful Greek flavours. Experience dining at an irresistible à la carte restaurant with the open kitchen where you can watch chefs at work or simply take in views of the hotel’s swimming pool. A wonderful bar offering drinks in the daytime and transforming into a magical scene at night as you sit under the stars enjoying drinks next to the lights of the pool. Experience the beautiful sounds of the piano as you admire the pool on an open terrace. Lovely signature cocktails and excellent champagne and wines are served here. The romantic atmosphere is topped off by special jazz and classical music nights. There are two outdoor swimming pools to choose from, and one indoor heated swimming pool. There is also a children’s swimming pool just for little ones. The Lesante Luxury Hotel & Spa offers a large selection of revitalising treatments and experiences, including a heated pool, massage and sauna. The gym is part of the health and wellness facilities of the hotel. Enjoy it as part of a holistic well-being approach for body, mind, and spirit. Hire a boat and skipper for the day and visit some of the island’s top sights, including Shipwreck Beach, the Blue Caves and Marathonisi. 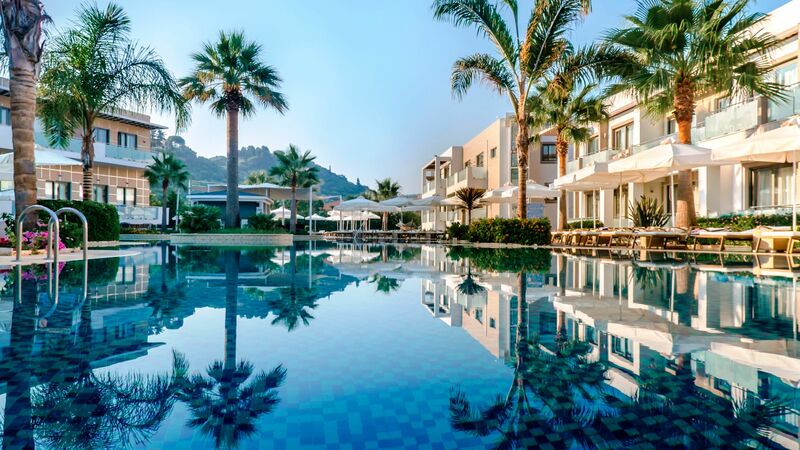 On the east coast of Zakynthos, also known as Zante, you’ll find the Lesante Luxury Hotel & Spa. It’s in the town of Tsilivi, which is a lively resort with something for both couples and families. Spend your days on the Blue Flag beach which offers soft golden sands lapped by crystal clear waters. It’s backed by restaurants and tavernas as well as offering a host of water sports, including kayaking, sailing, and lots more. 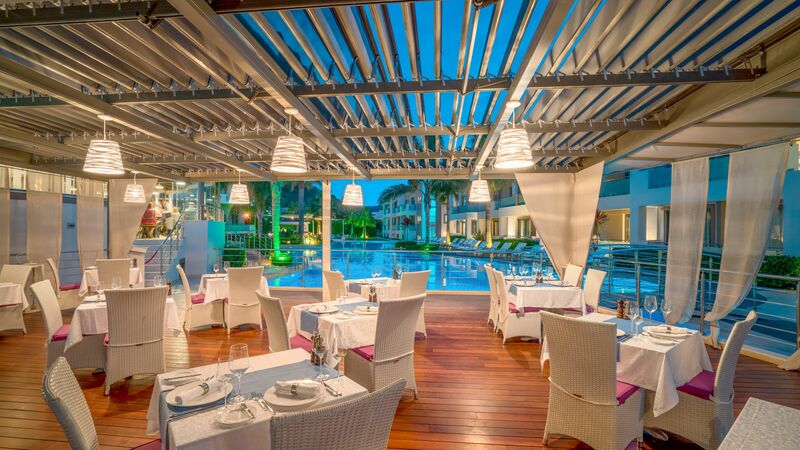 The selection of restaurants in Tsilivi make it ideal for foodies. 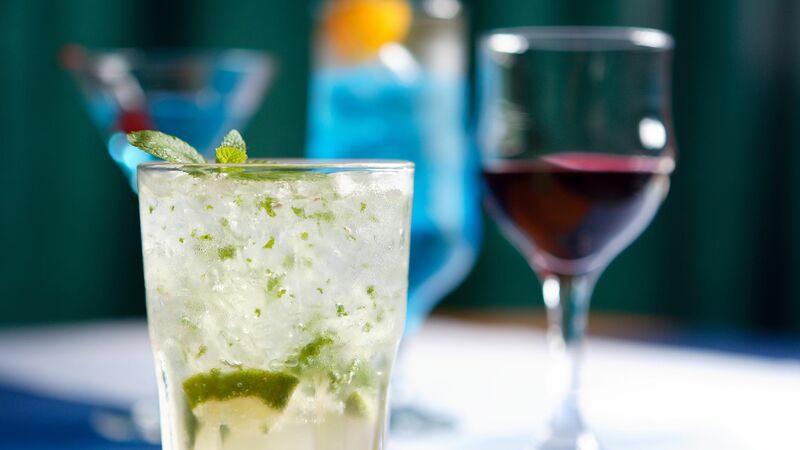 It’s known to have some of the best seafood selections on the island, with fresh local varieties paired with crisp salads, creamy dips, refreshing cocktails, wines, and beer. The Lesante Luxury Hotel & Spa is a 20 minute drive from Zakynthos Airport. Deluxe Rooms measure approximately 30m² including a furnished balcony or terrace with views of the gardens or pool. Rooms are elegantly decorated with handmade furniture and have either a double or twin beds, an armchair, coffee table and spacious bathroom with bathtub and shower panel with massage jets. Facilities include; satellite TV, minibar, safe, air conditioning, tea & coffee making facilities, hairdryer, bathrobes & slippers and luxury bathroom amenities. Executive Rooms measure approximately 38m² including a furnished balcony or terrace with views of the pool. Rooms feature a double bed, sofa and spacious bathroom with Jacuzzi® bathtub and shower panel with massage jets. Junior Suites measure approximately 45m² including a spacious balcony with views of the gardens. The spacious and contemporary suites boast a king size bed, a separate living room with satellite TV, iPod® docking station, Nespresso® coffee machine and Bvlgari® toiletries. Premium Deluxe Rooms measure approximately 35m² including a furnished balcony or terrace with views of the gardens or pool. Rooms are modern and contemporary in design with a double bed, sofa bed and spacious Jacuzzi® bathtub. Superior Suites with Private Outdoor Jacuzzi® measure approximately 75m² including a spacious private balcony with table, chairs and sun loungers. The suite offers direct access to a private outdoor Jacuzzi® with views of the pool. Inside, there's a king size bed and sitting area, as well as a spacious bathroom with Jacuzzi® bathtub. Also featured in this suite is an iPod® docking station, Nespresso® coffee machine and Bvlgari® toiletries. Save up to 8% on the hotel price for holidays between 01 May - 17 October 2019 booked by 28 February 2019. Save up to 5% on the hotel price for holidays between 01 May - 17 October 2019 booked from 01 - 31 March 2019. This was a really nice, clean hotel with friendly staff. I went for my birthday with friends and the hotel upgraded us to the 1 of 7 rooms with a balcony looking over the pool with its own jacuzzi! The food was nice although we did spend more time eating out as there are plenty of restaurants in the town centre which is a 10 min walk. The beach is a nice 10 min walk at the end of the road where the hotel is situated on and there is a corner shop close by which is convenient. We stayed at the Lesante for one week at the end of Sept/early Oct. We stayed in room 543. The room was a bit tired and decor and furniture could have done with an update. Bed was comfy and a bit on the hard side but good for anyone with a bad back. Bathroom was small and we didn?? ?t seem to have much room to put toiletries. Shower varied from ok to a slow trickle. There was smell which smelt like sewage when the shower was turned on. The smell was also around when we used the lift, we made the mistake of pressing 0 which took us to the basement which looked like it was flooded the first day we arrived with some sort of pump operating. On arrival the plug was stuck in one of the sinks in the bathroom but once reported this was promptly fixed. Hairdryer was powerful enough although not sure that the wires coming out of the wall were totally safe. Tea and coffee making facilities were provided and the mini bar chap brought refills each afternoon. Housekeeping brought fresh towels twice a day. The room was next to the housekeeping room which meant we were woken to clanging and banging at 7am each morning. The room was at the back of the hotel and the view from the balcony was that of greenery. On the other side of the greenery was a building site so banging started at 8am if not before most mornings and continued throughout the day. There was also a problem with ants which were on the furniture and towards the end of the week also in the bathroom. The electronic do not disturb/make up my room sign did not work. The food in the restaurant was very good and was of decent quality so we were always satisfied. The restaurant is too small for the hotel and having to wait outside to go in to breakfast, then having to wait for food to be cooked then being told half way through breakfast that the restaurant would be closing in 5 minutes at 10am was not acceptable. If no tables are available guests should not be made to rush when you don?? ?t have the space. We have never experienced this anywhere else. We did speak to the manager who was polite but told us it was hotel policy. Entertainment was not exceptional, Saturday evening was about the best, although not the best singers they put every effort into their performance. Drinks were expensive and not many people stayed in the hotel. The area around the hotel is not pretty and the village of Tsilivi holds no beauty whatsoever. There is a path to the beach. Pictures we had seen beforehand did not resemble the beach. There was a storm the day before we arrived but I don?? ?t think that would have had any bearing on the dirty sunloungers which populate the beach. We did use the public bus to Zakynthos town a couple of times ?? ?1.80 each way but this can be crowded depending on the time of day. ?? ?11 for a taxi one way. I would rate this hotel as four star. Not a bad hotel but issues need to be addressed and rooms need to be properly maintained, certainly not on par with any of the 5 star hotels we have stayed in on the other Greek islands. On the plus side we did meet some very nice people who were good company but on balance I would not return to this hotel or Tsilivi. We were a party of 6 who arrived at the hotel for the last week of the 2018 season. On arrival, we received a very warm welcome and given a glass of fizz before being shown to our room. We booked a standard room and was allocated one overlooking the back entrance of the hotel which proved to be quiet. First impressions of the room was that it was minimalist in colour and style and looked and was, very clean. The pool area was very pleasant with plenty of available comfy sun beds and parasols. Very few guests sat out around the pool so we were able to move our sun beds to obtain shade from the sun as the position of the parasols didn?? ?t provide shade where it was required. We all came on this holiday to relax and recharge our batteries and our chilling out time around the pool listening to great chill out music certainly did this. Breakfast choice was very good, well cooked, beautifully presented and plentiful. After the first morning, a staff member was kind enough to arrange and reserve a table for us so that we could sit together without us having to ask which demonstrates the good level of service. I agree with other reviewers who mention very favourably about the staff who work here, they were fantastic. Everyone we met had a smile and a warm greeting for us which made us all feel very welcomed and appreciated. I must give a special mention for Alex and Fotini who made our days with the fantastic service and wonderful chats and fun...you are absolute stars and we all looked forward to seeing you both each day. Housekeeping was very good with the cleanliness of the room but tended to overlook a few details every day for all of the three rooms e.g. never had milk or coffee left for the whole week. From the day we arrived to the day we left we were never left any/enough face flannels and it became embarrassing having to contact reception to ask for them. 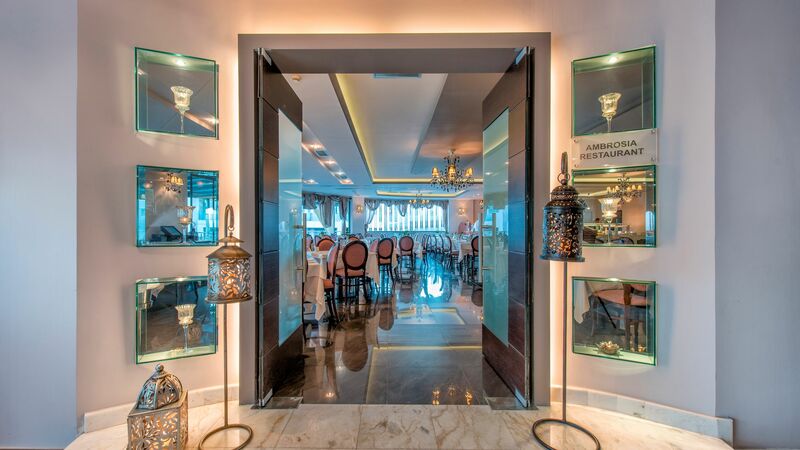 Location wise the hotel is in a quiet area however, Tsivili centre is only a 10 minute stroll and the beach is less than a 5 minutes Overall, we had a wonderful stay at Lesante and wouldn?? ?t hesitate to return in the future.